The ‘Budget 2019’ was passed in Parliament yesterday with a majority of 45 votes. Following a division called by the UPFA at the end of Third Reading, it received 119 votes in favour and 74 votes against. The UPFA group divided into two groups during the vote, with MPs associated with Sri Lanka Podujana Peramuna (SLPP) led by Opposition Leader Mahinda Rajapaksa voting against the Budget together with some SLFP MPs while the rest of the SLFP MPs choosing not to turn up for the vote. Notably, SLFP MPs Dilan Perera and S.B. Dissanayake voted against. A total of 31 MPs were absent. Notable absentees included MPs UPFA MPs Mahinda Amaraweera, Nimal Siripala de Silva, Dr. Sarath Amunugama, Mahinda Samarasinghe and Duminda Dissanayake. MPs Dr Wijayadasa Rajapakshe and Ven. Athuraliye Rathana Thera were also absent. TNA MPs Sivasakthi Anandan and S. Adeikkalanathan were also absent. The JVP MPs voted against while 13 out of 16 TNA MPs voted in favour. Opposition MP from the Ceylon Workers’ Congress (CWC) Muthu Sivalingam voted in favour while CWC Leader Arumugam Thondaman was absent. All parties aligned with the United National Front (UNF) voted in favour of the Budget. MPs Asoka Priyantha, Ananda Aluthgamage and S. Viyalendran, who recently joined with the UPFA, voted against the Budget. 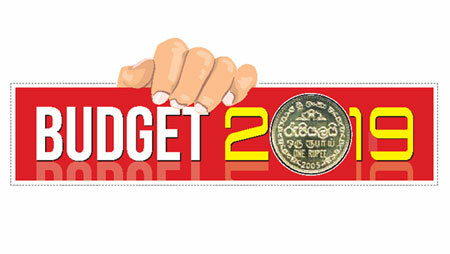 Finance Minister Mangala Samaraweera moved further amendments to the Budget winding up a month-long budget debate. Parliament will meet again on May 7. The Supplementary Estimates to provide for the expenditure of Megapolis and Western Development Ministry and Internal and Home Affairs and Provincial Councils and Local Government Ministry were passed in Parliament yesterday without a division. Thirty Supplementary Estimates were moved by Leader of the House and Minister Lakshman Kiriella subsequent to the final vote of the Budget in place of the defeated Expenditure Heads of the two ministries. The UPFA in a surprise vote defeated the Expenditure Heads of the two ministries on March 28. The supplementary estimates were presented by suspending the Standing Orders and nobody called for a division. TNA Leader R. Sampanthan said that his party abstained from voting for the Ministry of Home Affairs, and the Speaker said that would be noted.